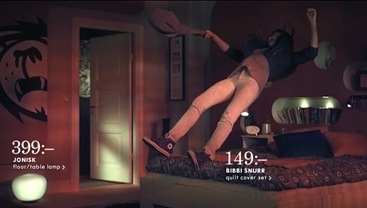 Ikea does a great job when it comes to online advertising. You may remember the legendary advert of their dream kitchens where one can virtually turning around the "show room" or the second one of kitchen series. Now they launched an ad for bedrooms, where you can have an insight into various life and of course bedrooms. The bedrooms scenes are filmed in slow motion as a contrast to the hectic working day.